Catatan Ga Penting Yang Penting: 1800: Are you Quick Enough? 1800: Are you Quick Enough? So many games on AppStore today can make you confused to decide which one to try, moreover, almost everyday there's at least a new game coming in to AppStore, and also most of them are provided for free. I'm here to tell a new game which interesting enough to be play for all ages. With a simple UI, don't let this game deceives you.. Firstly, You might think it's not interesting for a game with too simple graphic. Dominant with white and pink color, it also has very simple gameplay. The main goal is to stop the arrow in the middle of the rectangle. The arrow will move automatically, all you need to do is tap the screen to stop it rightly in the middle of the rectangle. 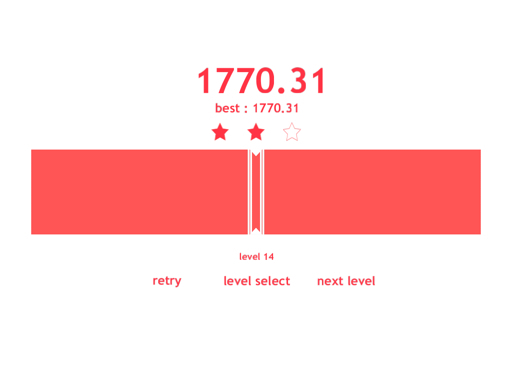 As your level increase, there're more lines to make complexity of scoring. If there're 2 lines, you need to stop the arrow between (inside) the lines, if the lines are more than 2, the lines are counted from the outer lines, so make sure to try your best for stoping the arrow between them. An easy gameplay, but addicting is the main goal of every game. I found that this game is almost doing it well. It comes with 20 levels for arcade mode and time mode which can be unlocked after gain 40 stars from 60 stars, (Yes, 3 star score makes this game has higher replay value). 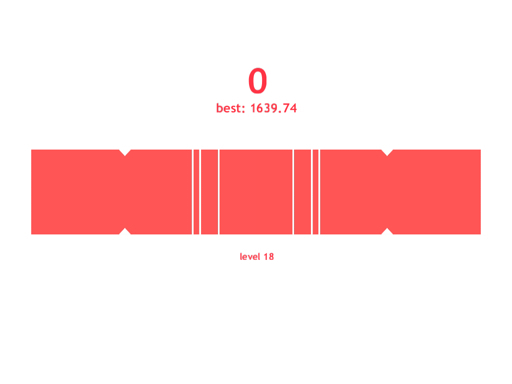 I also found that people might be challenged to beat their previous score and make all levels perfect scoring 1800. The main key to play this game is the right timing, also how quick your finger tap the screen to stop the arrow. You might feel some frustration while you've already try for several times, but still got nothing perfect .. Me feel bit same too. 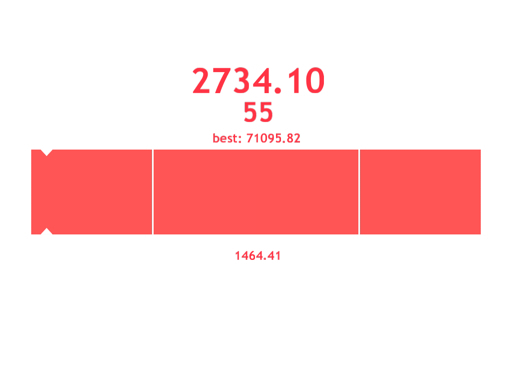 1800 is a simple game that's tasty enough to train your reflex. I wish they update the game with more levels and features in the future.